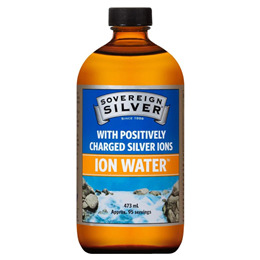 Sovereign Silver contains 96% actively charged silver particles (positively charged [Ag+] silver ions), which renders it at least 34 times more powerful than other brands. Sovereign Silver’s unprecedented average particle size of 0.0008 microns, or 0.8 nanometers (validated by Transmission Electron Microscopy), allows for easy utilization by – and excretion from – the cells and body. Our ultra-small particle size also results in a greater silver surface area. That’s why even with a low concentration of 10 ppm (parts per million), Sovereign Silver is still much more effective than brands that contain up to 500 ppm. Sovereign Silver is formulated to be safe for the whole family when used as directed. Taken 7 times a day for 70 years, Sovereign Silver still falls below the EPA daily Oral Silver Reference Dose (RfD). Pharmaceutical-grade purified water and silver (10mcg/ml [ppm]). Silver has a long history of safe and diverse range of applications in healthcare, personal hygiene (including feminine douching) and water purification. Apply topically as necessary. Use sprays or droppers for ears and nostrils. For oral use, swish 1 or 2 teaspoons around the mouth for 1 to 2 minutes, then expel. There are no known safety issues associated with typical use of this product for adults, children, animals or plants. In the event of oral consumption, the US Environments Protection Agency has established a daily oral Reference Dose for silver ingestion at 350mcg per day, over a 70 year lifetime. 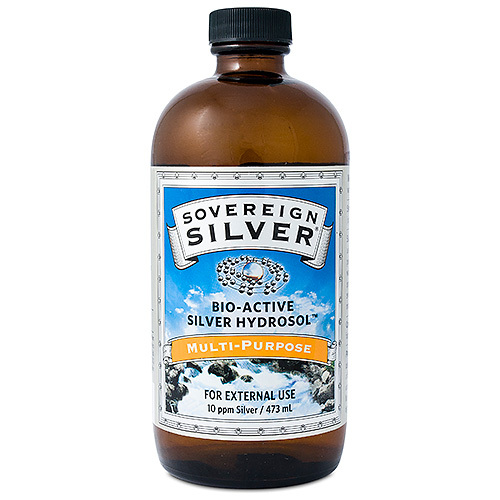 Below are reviews of Sovereign Silver Hydrosol Polyseal Cap - 473ml by bodykind customers. If you have tried this product we'd love to hear what you think so please leave a review. Sovereign Silver contains 96% actively charged silver particles (positively charged [Ag+] silver ions), which renders it at least 34 times more powerful than other brands. It has a unique combination of 5 attributes no other manufacturer can match.